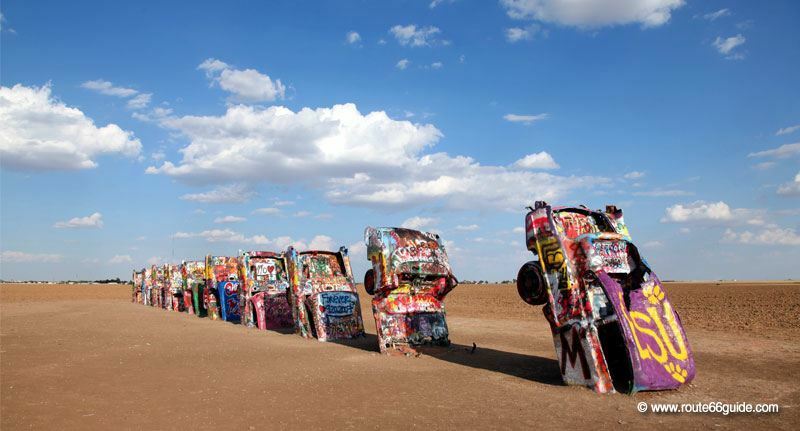 Route 66 is regularly lined by works of art, some of them truly outlandish and spectacular. Sometimes, visitors are encouraged to interact. Above: Helendale, California. 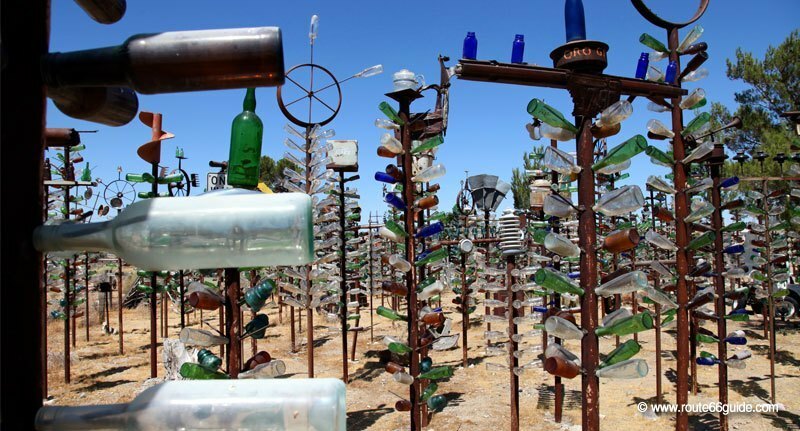 The Bottle Tree Ranch features hundreds of glass bottles that the artist's father recovered along Route 66 decades ago. 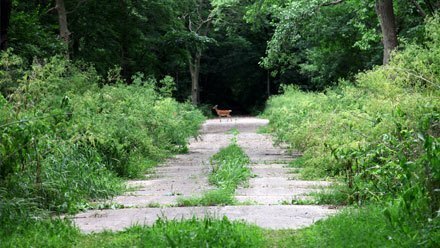 It can be observed from the road but this private property is not open to the public. 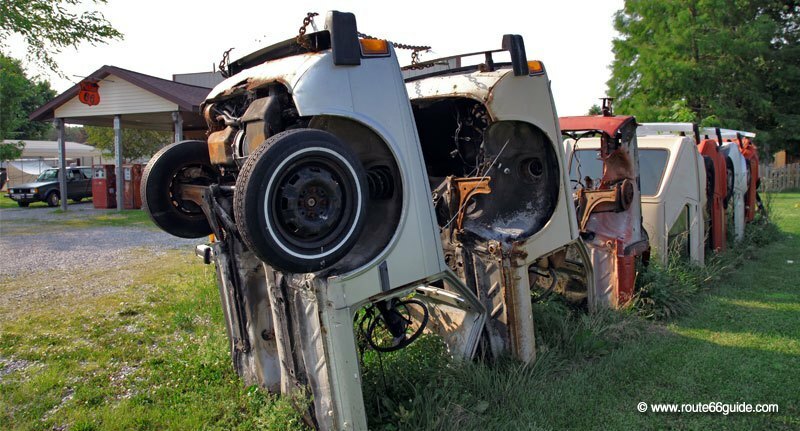 Without a doubt, the icon of this movement is the 10 car group nose-driven into the soil of the Cadillac Ranch in Amarillo, Texas. 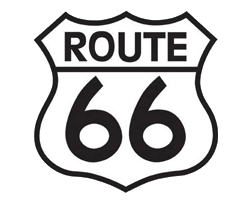 Directly on Route 66, the site is freely accessible for by simply pushing open a gate leading onto a vast desert field. The originality of the concept lies in the colorful participation of everyone, invited to tag the vehicles that are regularly repainted. 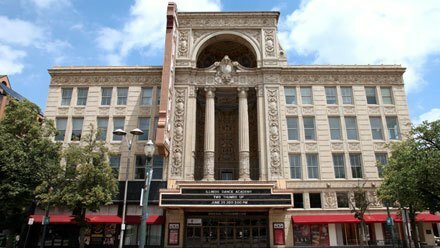 Above: Amarillo, Texas. Cadillac Ranch. 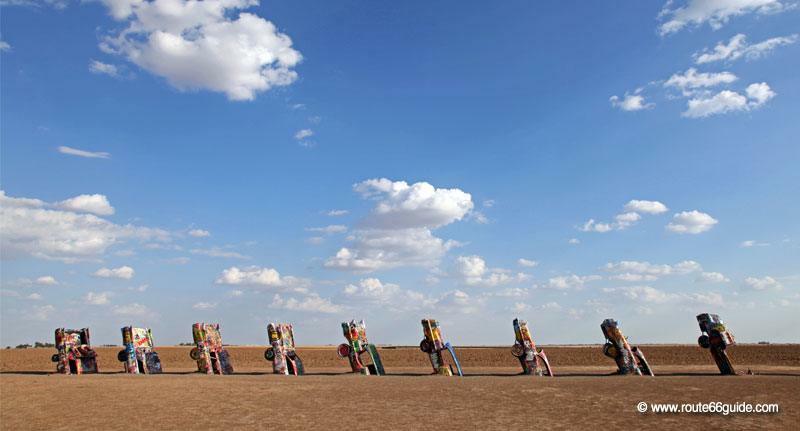 On Route 66, multiple replicas of the Cadillac Ranch, often humorous, honor the work of Stanley Marsh 3. At Henry's Rabbit Ranch in Staunton, Illinois - a paradise for rabbits lovingly cared for by Rich, the exuberant site owner - Cadillacs are replaced by old VW Golfs (pretty much the only ones you'll see on the road ...) while at Conway, Texas, only a few miles from the actual Cadillac Ranch, old VW Beetles have been lined up with their nose driven into the ground, doors open, like crashed insects. 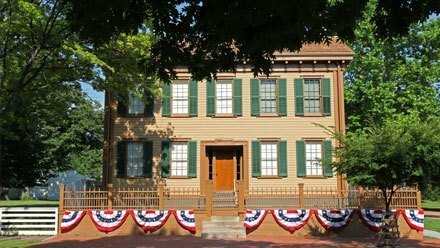 Above: Staunton, Illinois. Henry's Rabbit Ranch. 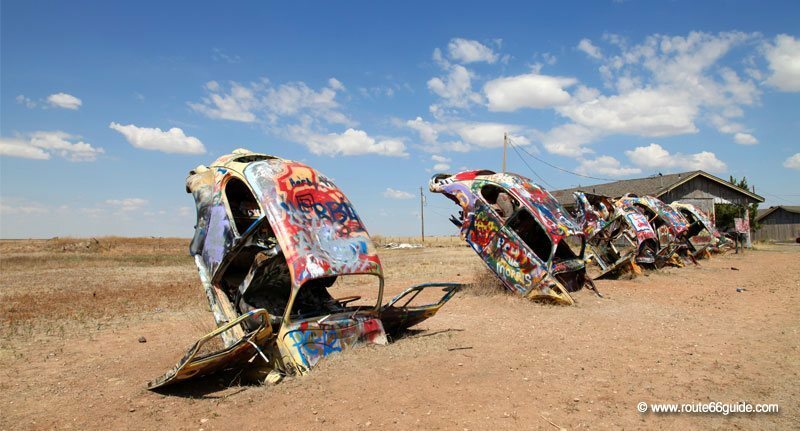 VW Golf interpretation of Cadillac Ranch. 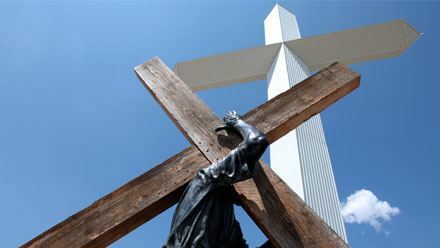 Above: Conway, Texas. Bug Ranch. VW Beetle interpretation of Cadillac Ranch. Other smaller initiatives mark the legendary route, including the amazing Shoe Trees, their branches laden with the most diverse pairs of shoes and occasionally more exotic items such as underwear - allegedly the former property of worldwide travelers. 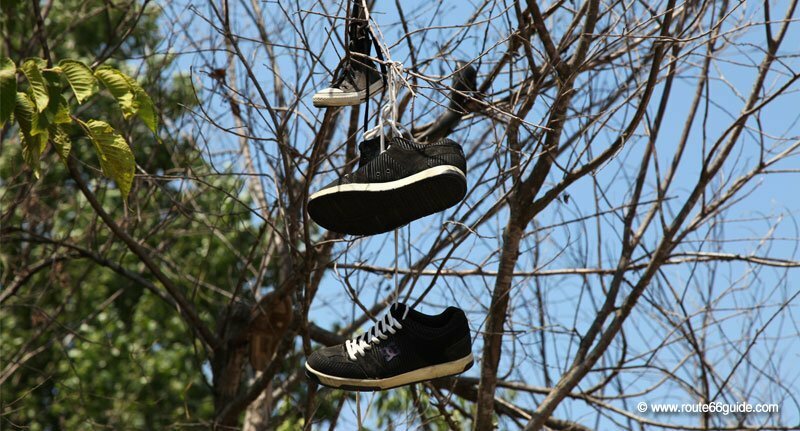 Above: Shoe Tree Trading Post in Stroud, Oklahoma. Near Chelsea, Oklahoma, another disproportionate work of art rises slightly off Route 66. The Totem Pole Park was developed by the woodcarver Ed Galloway from Missouri, who devoted his retirement to this remarkable task. 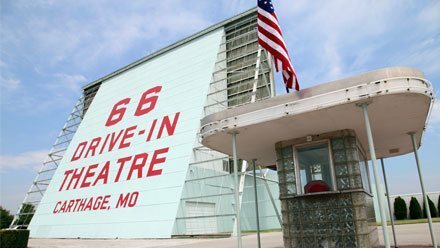 A flagship attraction on Route 66, since 1948 the park boasts the highest totem in the world (over 90 feet). 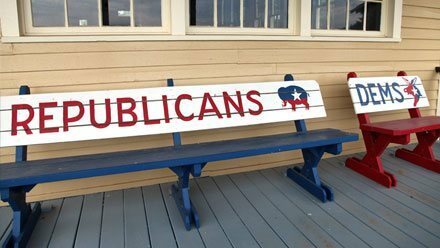 The site is free, open to the public and a small souvenir shop helps maintain the site which was completely restored in the 1990s. 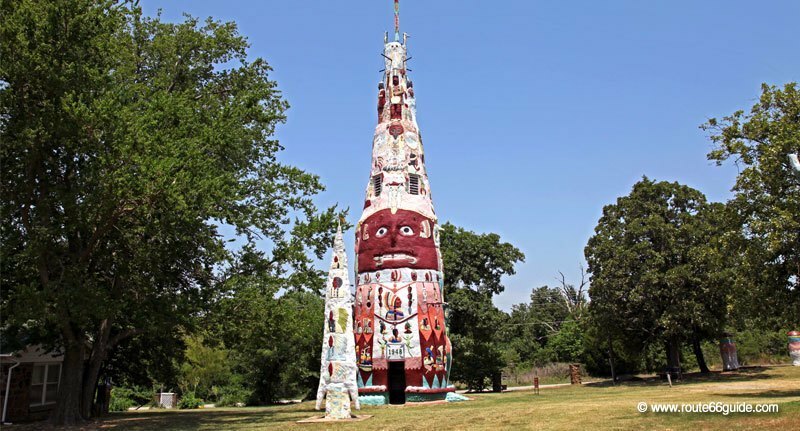 Above: Totem Pole Park in Foyil (Chelsea), Oklahoma. 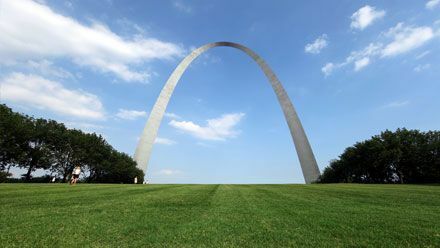 In Missouri, we were impressed by what Lowell Davis defines as "a giant work of art" - what an understatement! 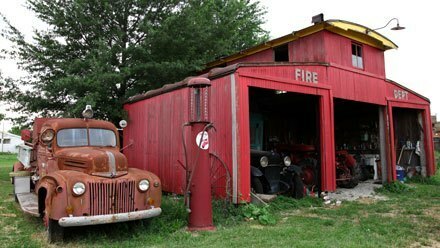 Red Oak II is a hallucinatory reconstruction of his childhood village near the old Route 66, about twenty miles away. Like many other communities, the city was deserted by its inhabitants and its shop owners before completely disappearing. 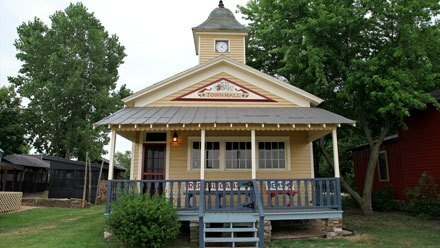 Above: Red Oak II, Missouri, the artwork of Lowell Davis, reconstruction of a small crossroads town on Route 66 in the 1940s. 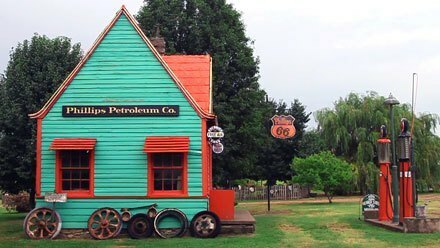 The recognized artist Lowell Davis has spent all his fortune and more than ten years to rebuild the buildings of his memories, life size, as they were in the 1940s: houses, school restaurant, cafe, service station, general store, mayor, blacksmithing, church, cemetery and even the prison! Above: Red Oak II, Missouri. Lowell Davis lives with his wife and his daughter's family in this surreal scene, complemented with a few anachronistic "follies", as the charming house of the Dalton brothers themselves (Lowell has a soft spot for historic outlaws), which was literally uprooted from Oklahoma and relocated to Red Oak II! Above: Red Oak 2, Missouri. As crazy as it may seem, the entrance is absolutely free (it is recommended to make a small donation though as insurance is costly) and you can freely walk around and even push gates open and take a look - with respect and discretion as several Red Oak II houses have been recently put on sale.